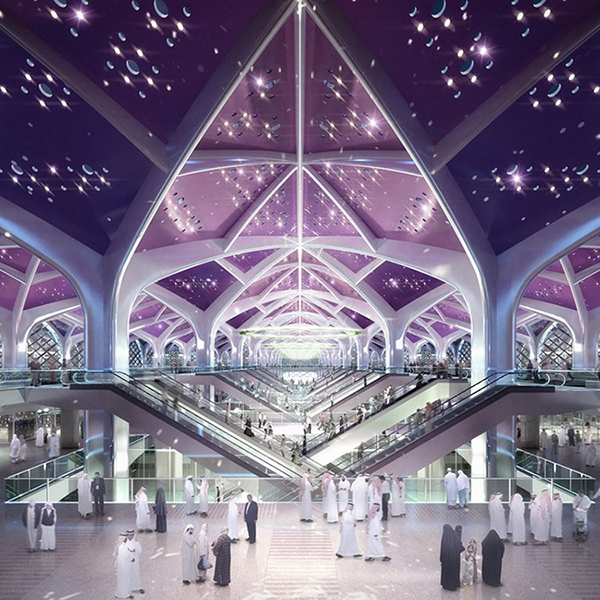 Delmatic systems provide powerful scene-setting control and monitoring within the huge destination stations which range from 275,000 sq.m to 460,000 sq.m. 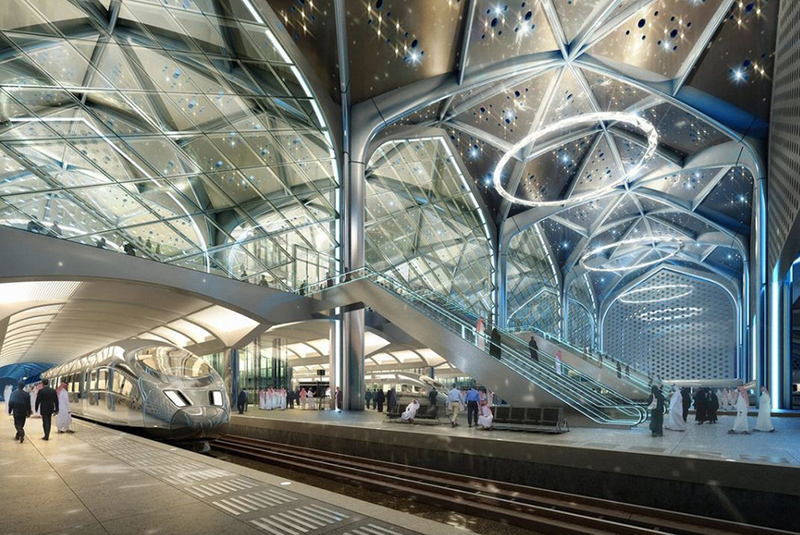 The large, flexible stations cover an area more than 30 times the size of London’s Trafalgar Square and initially accommodate an anticipated 60 million passengers. 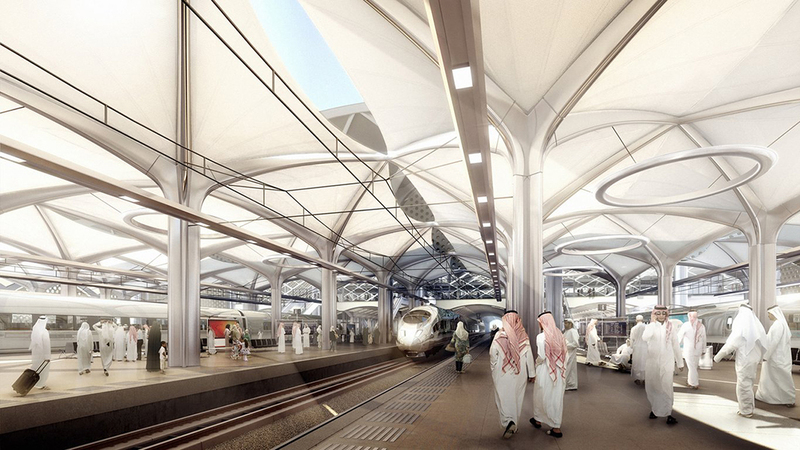 The Haramain High-speed Railway is a 460km corridor linking the cities of Mecca and Medinah via Jeddah and King Abdullah Economic City with state-of-the-art trains running at up to 300 kilometres per hour. 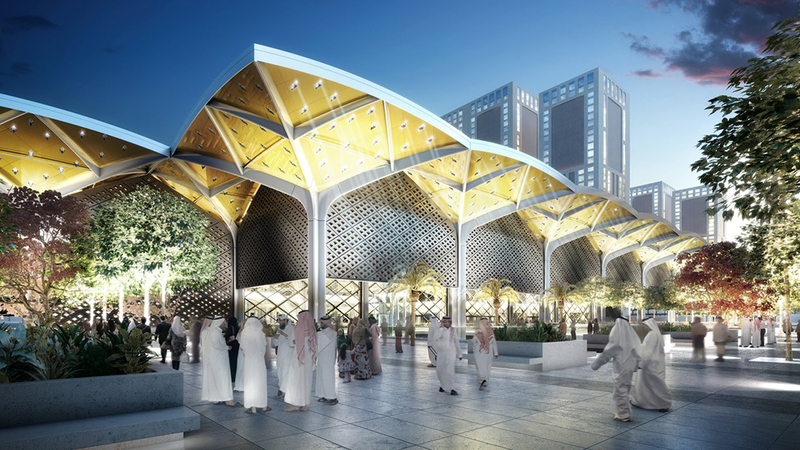 Destination stations at Makkah, Jeddah and King Abdullah Economic City are gateways to the cities, filled with places to meet, shop, eat and shelter from the sun. 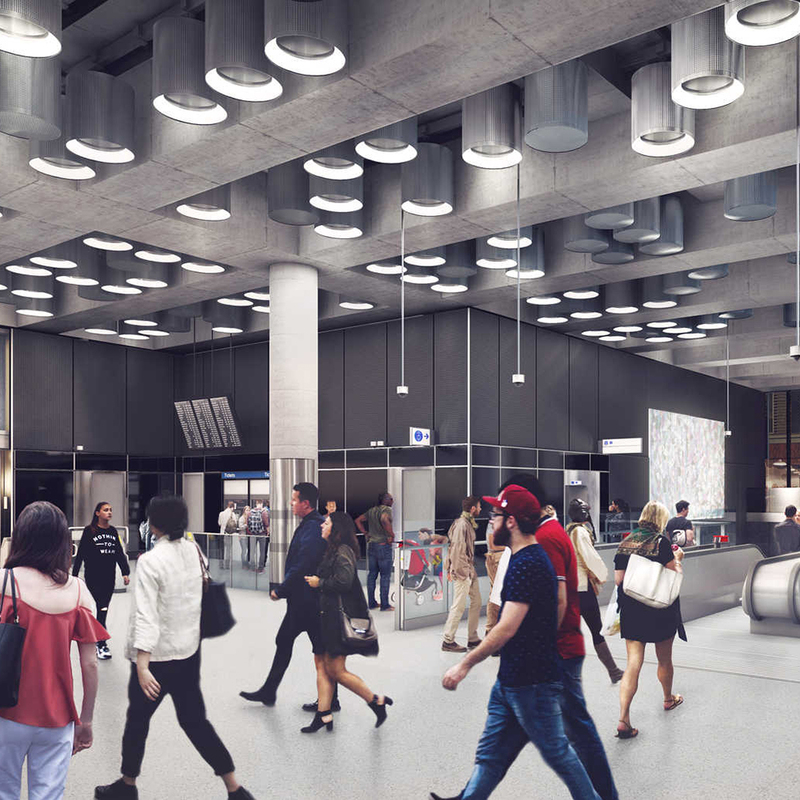 The station designs enhance energy efficiency using natural ventilation solutions to cool the platforms while roof lights and light tubes maximise daylight at concourse level. 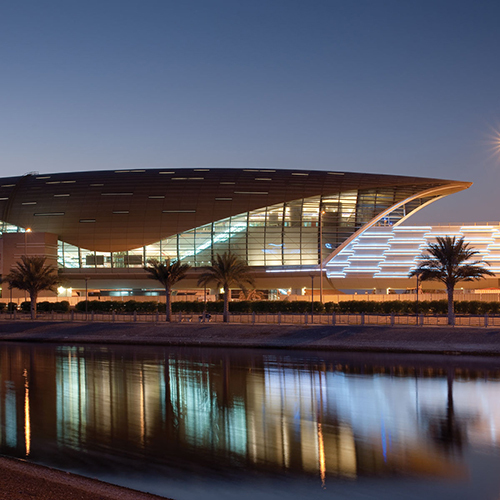 The Delmatic systems provide flexible, energy-efficient, addressable management and monitoring of lighting throughout front-of-house and back-of-house areas, as well as controlling decorative concourse and façade lighting. 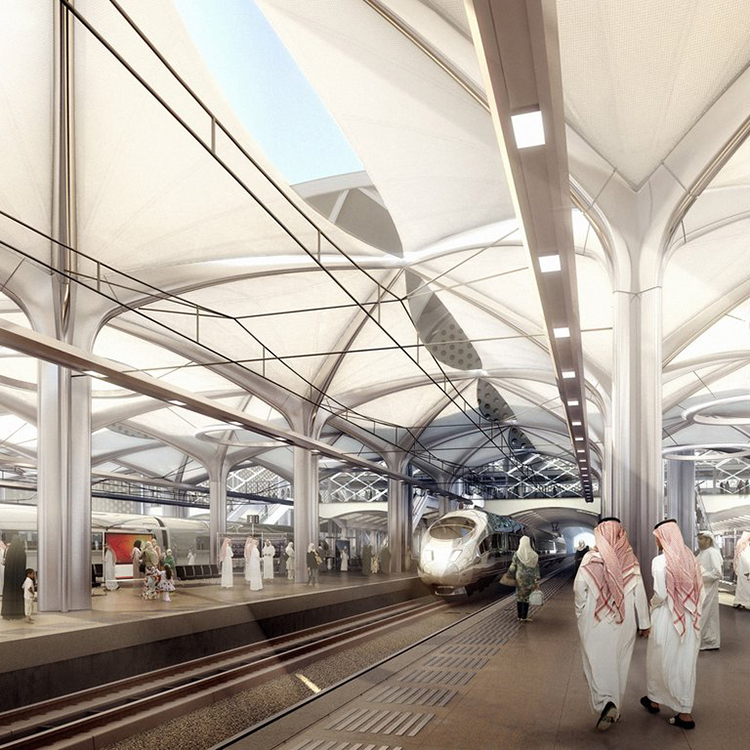 The systems enhance energy efficiency through daylight-linked control and occupancy-based control. 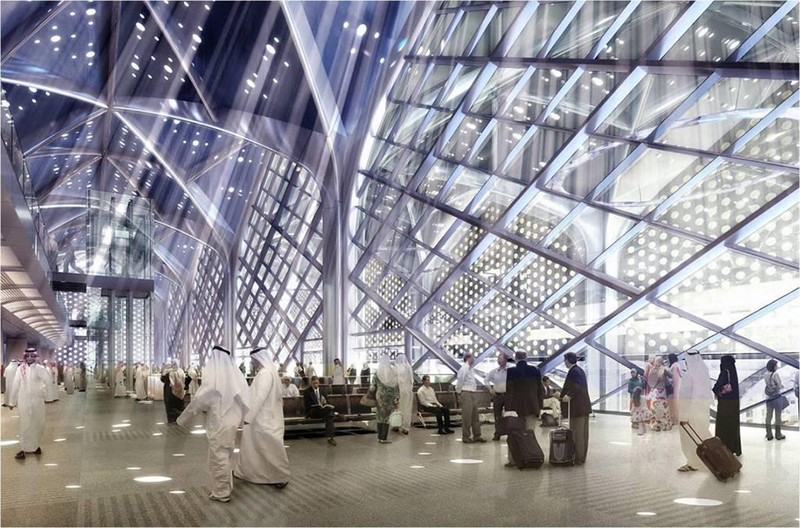 Lighting is configured into a variety of modes activated at scheduled times, via a solar controller and by photocell sensors. 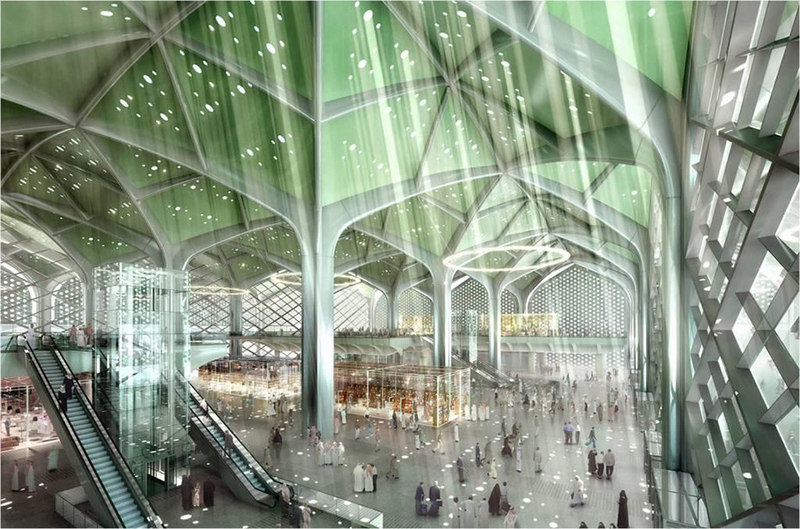 At night, the system activates spotlights to simulate stars in a night sky and focuses moving projectors on spherical chandeliers to provide scattered lighting patterns which harmonise with the building’s unique design. The complete systems are managed and monitored across the IP network using animated graphical software. 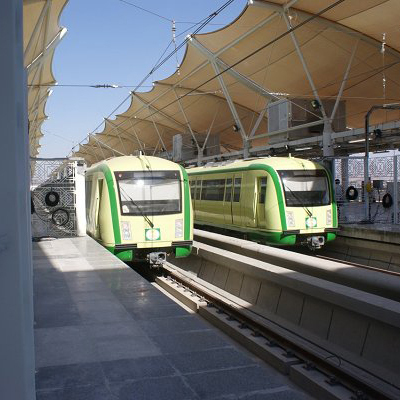 Quality and reliability of the highest order are crucial to this major public infrastructure system and Delmatic’s track record in providing controls for major transportation projects, including the Dubai Metro network, Makkah Metro and London’s Crossrail project, was instrumental in selection for this project.